168 Kaizen, Addas, AJ Mark RealtyAlmayo Ventures, Alveo, Amaia, Amaia Series Novaliches, Anchor Land Inc, AVIDA, Axeia Devt Corp, Bayswater Realty, Bilkenn Corporation, Borland, Bria Homes Inc., Camella, Capitarise Dev Corp, Cathay Land Inc, Century Properties, Charles Builder, Charles Builkder, Cityland, CornerStone Properties, CRC, Crown Asia, Data Land Inc., Deca Homes, DMCI, D University Land, Earth and Style, Edsa Grand Realty, Empire East, Eton, Euro Towers, F & E De Castro, Federal Land Inc, Fianchetto, Filinvest, First Golden Achievers, First Quasar Realty,Gold Edge Corp, Grand Metro Lorenzo, Grand Monaco, Grand Monaco Main, Green Earth Bldgs, GREENFIELD, Hana Land Development Corp, Harvard Multiland (HMRC), Haus Talk, THPMDI, Hi-Integra Homes, Homemark Inc, Homeowners Dev Corp, H & S Citihomes, Jade Group, Landco Pacific Corp., Lizaland Corporation, LLSP, Lumina, Lumina Homes Inc, Madrigal-Bayot Dev, Major Homes, Maxihome Land & Devt, Megaworld, Metrostar Realty, Metrostar Realty And Devt, Moldex, MyCitiHomes, NewHall, Northpine Land, Olivarez Homes, One Libertad Trading, P.A Alvarez Realty, Palma Real, Palm Beach Realty, PA Metro Residences Builders Inc., Pax Asiana, PHINMA, Phoenix Sun, Powers & Grant Inc, Primaries, Prince Jun Devt, Princess Homes Realty, Property 101, Pyramid Constructions, Reina Properties, Reyna, Robinsonsland, Rockwell, Royale Homes Mktg, San Miguel Properties, Shaughnessy Dev Corp, SMDC, SM Land Inc, Sta Lucia Land, Stateland, Summer Hills Dev Corp, Sunshine 100, Suntrust, SYU Group, Tamarind Inc, Tambo Realty, Terra Prime, Toplite Devt Corp, Trans-Phil Builders, Trass Corporation, Turnberry Place, Verdantpoint, VISTA Residences, Wee Comm Inc, Windsor and a Lot More. Full Time Real Estate Agent is Urgently Need! 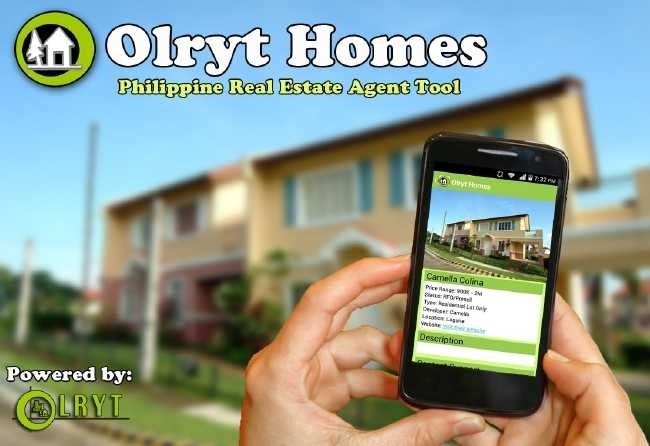 Join Team OLRYT! Have fun while Earning BIG!